Situated on an elegant corner lot in a wonderful neighborhood. This Harriman Park two-story could be the one!! Special features include: upgraded kitchen, with large dining area, living room and family room with a cozy fireplace, newer windows, newer furnace and A/C newer (almost new) water heater, tons of closet space, huge master bedroom with a large upstairs private deck just off the master complete with mountain views, 4 bedrooms all on one level, spacious covered deck (perfect for entertaining) nicely installed above ground swimming pool (included), 2 sheds, awesome garage with custom flooring, and loads of shelfs, extra parking on the side on the house (behind the fence) and additional parking on the oversized driveway. 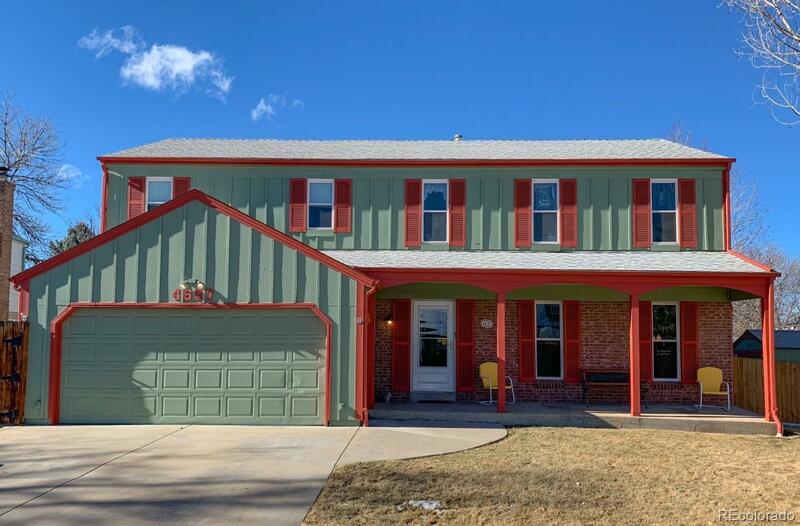 Close to Hampden, C-470, The Foothills, Red Rocks, shopping and transportation.